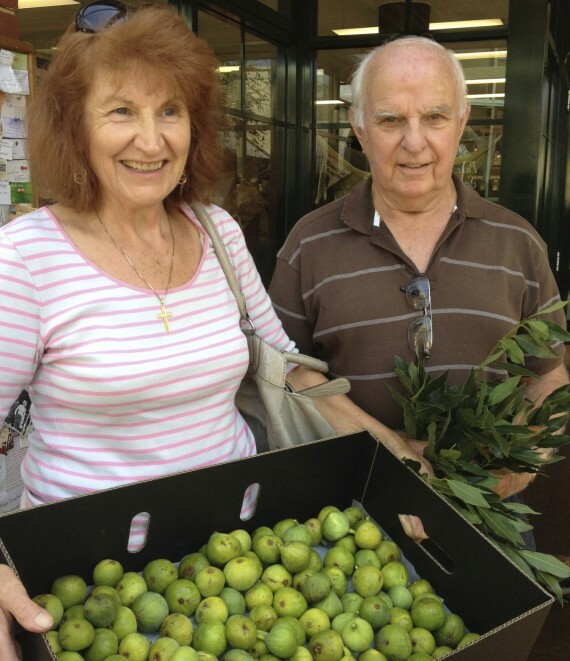 Paul Herzog has been bringing Katoomba-grown fruit to the Co-op for over a decade, making him one of our original suppliers of local produce. 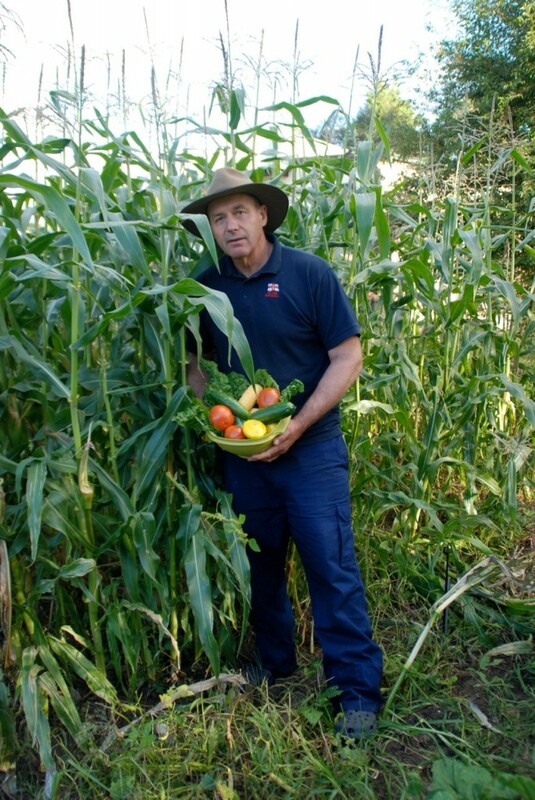 It all began over thirty years ago when Paul bought his bush block, built himself a home, a greenhouse and sheds and began his gardening adventure by planting his first fruit trees. In March the garden can still be abundant with the last of the summer crops. 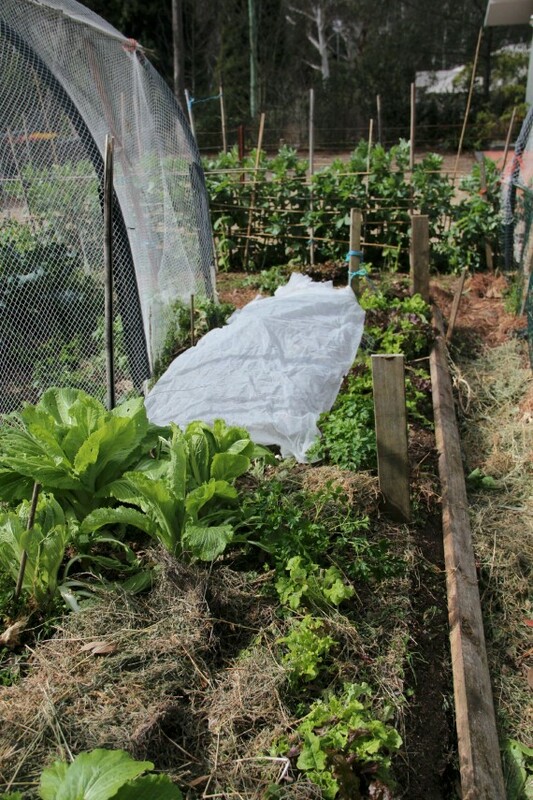 All too soon though it’s time to take stock and tidy up spent crops, using the greens in compost or digging them into the garden. 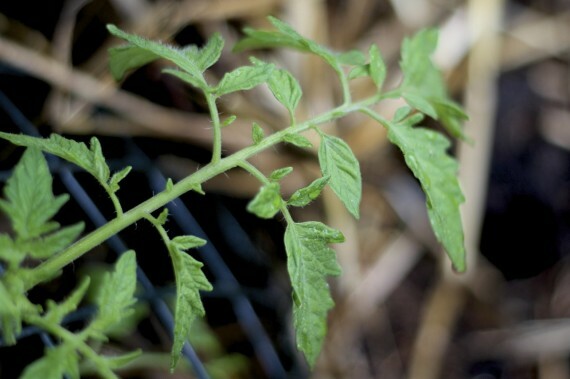 With all the rain and bursts of heat it’s also a great time to attack those weeds. After his annual break from producing food for the Co-op, Colin Gliddon returns every spring with his bountiful rhubarb bunches. Colin is one of our main suppliers of local rhubarb, and also brings in parsley, squash, zucchini and corn. 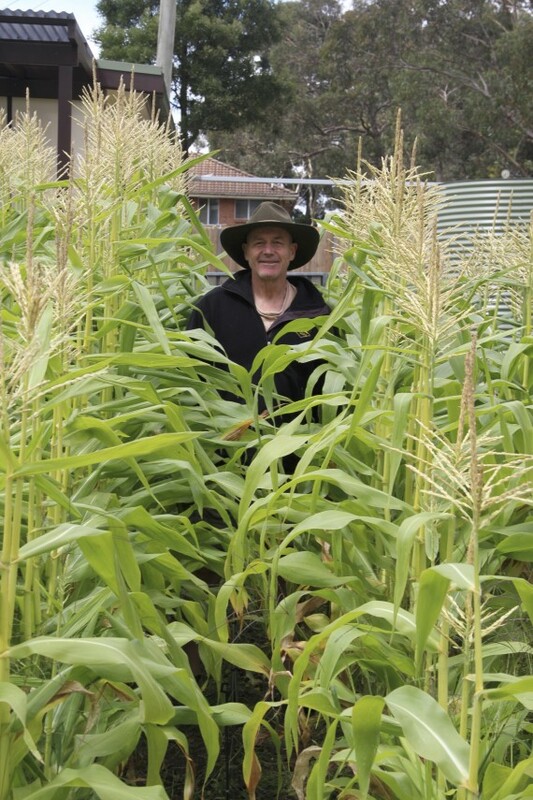 We decided to visit his Katoomba garden after its winter hiatus to see what he can produce over the subsequent spring and summer seasons. 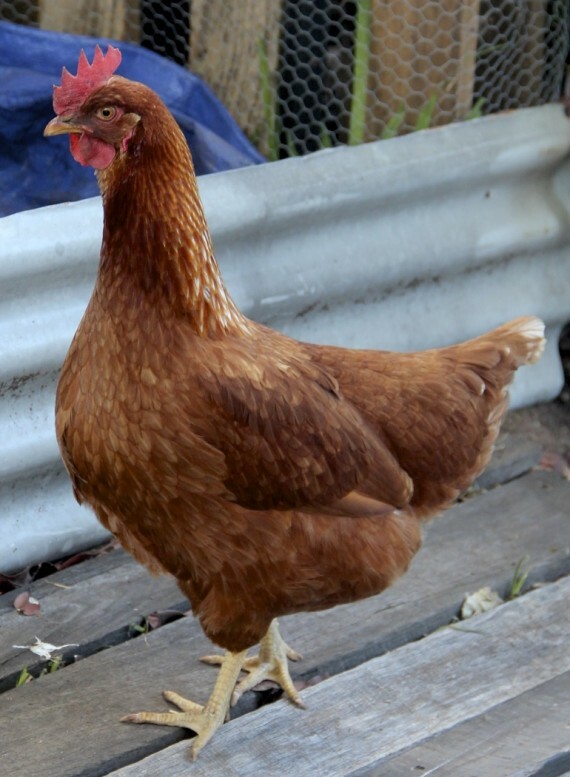 For many gardeners, having chooks is a great experience and complements their food garden. Tania, Nick and Jezmina have only been in the Mountains for a few years and are now getting their roots in deep with a cosy cottage and a glorious productive garden. I visited them to learn all about how they got started with their long-desired chook run and what they did to prepare for their ‘girls’. 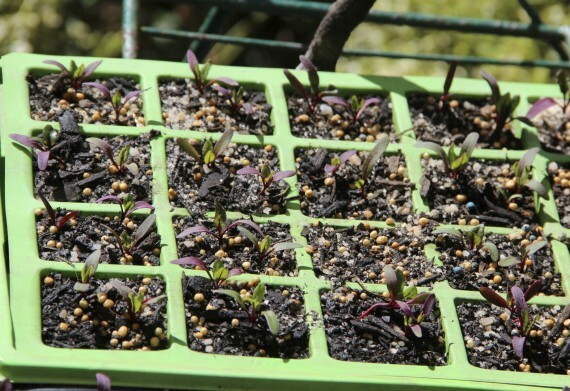 The time has finally come to put in your frost-tender seedlings.The soil has warmed up and despite the recent snow, the icy weather has hopefully come to an end. Late October to mid-November are considered ideal times to avoid the late frosts, however it’s been a month of extremes and there are never any guarantees with our unpredictable Blue Mountains weather! 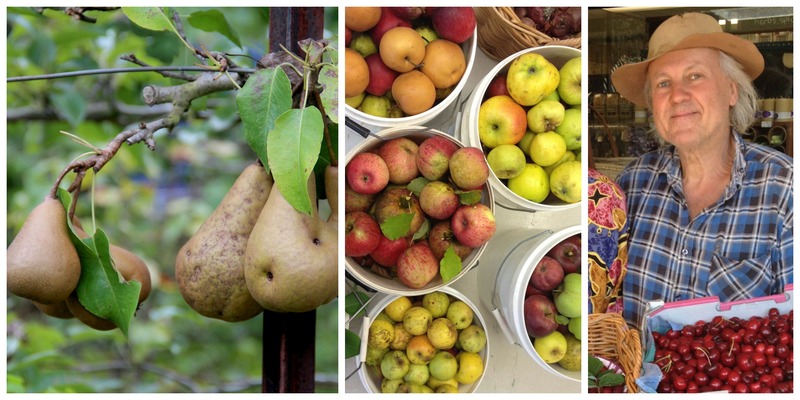 September and October are the most important months in the garden, according to gardener and author of Your Sustainable Garden, Robin Johnson. This book is available to purchase at the Co-op, and you may remember we visited his garden for a newsletter a few years ago. 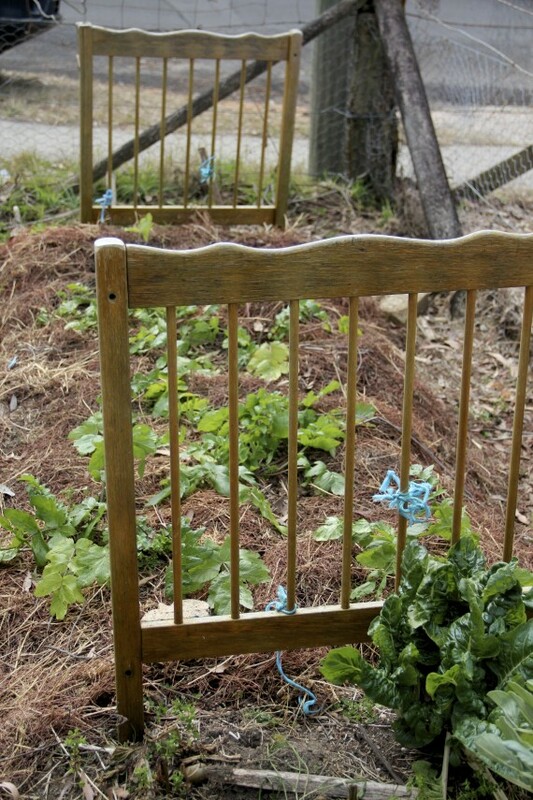 After being inspired by the talk and workshop of a “Tale of two Steve’s” (hosted by Permaculture Blue Mountains and BMFC) I began to think about what goes on in the winter garden? At the talk, Steve Alton whose garden is in Katoomba, shared with us information about the weather and water issues that we get faced with in the mountains. He reminded us that water is essential for the life of a plant and that winter is our driest season. He also showed us a graph of the winds we get living in the mountains, showing that in every month we could get hit with 40km winds. August is the notorious windy month, so what are his tips for the gardens survival? A great find on what to plant through the seasons was recommended by keen gardener and one of the Co-op staff, Louisa. It’s a website that can send you email reminders on what to plant seasonally in your region and it is called Gardenate.